This month we are emphasizing what the Bible teaches about baptism - and a key resource on baptism. Let me explain why this may be important to you as Renew subscribers. At Renew we see baptism as one of the elementary teachings of the Christian faith. 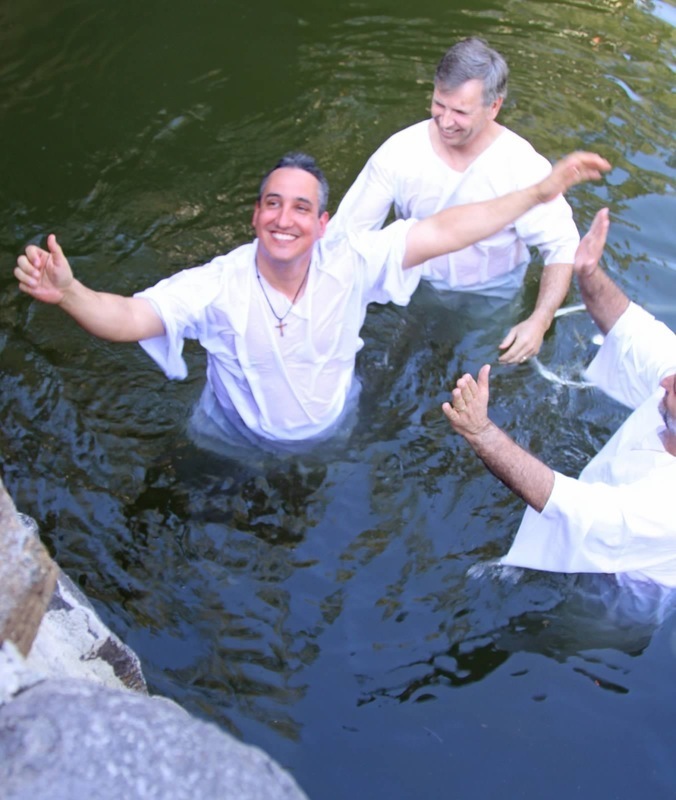 This is because baptism is integral to placing saving faith in Jesus and the gospel. Baptism is the “embodied response of faith” that God calls a person to express. Baptism expresses a faith that 1) repents from sinful ways, 2) relies on Christ’s saving work and 3) commits to be a disciple of Jesus. This is why it is part of key texts in the Bible that describe conversion and the elementary teachings of the faith (Matthew 28:19-20; Acts 2:38-39; Romans 6:1-6; Ephesians 4: 4-7; Hebrews 6:1-3). For these reasons we take a strong stand on this doctrine today. Unfortunately, the proper role of baptism in conversion has been lost to most of the Christian world since the early 400s. The earliest Christians held to the same beliefs about baptism that we do at Renew. The best summary of their beliefs can be found in the Nicene Creed of 381 AD which contains this declaration: we acknowledge one baptism for the remission of sins. So, when most Christian groups around us do not follow the teaching on baptism upheld at Renew, we simply say to them that we are standing with the Bible and the uniform view of the ancient church. We are confident that this is the position God wants upheld today. When people receive solid teaching on baptism, it helps them better understand being a disciple and discipleship. The act of baptism is a commitment to die to oneself so that a person is raised to new life in Christ (Romans 6:1-6). In this way we renew the teachings of Jesus on baptism to fuel disciple making. 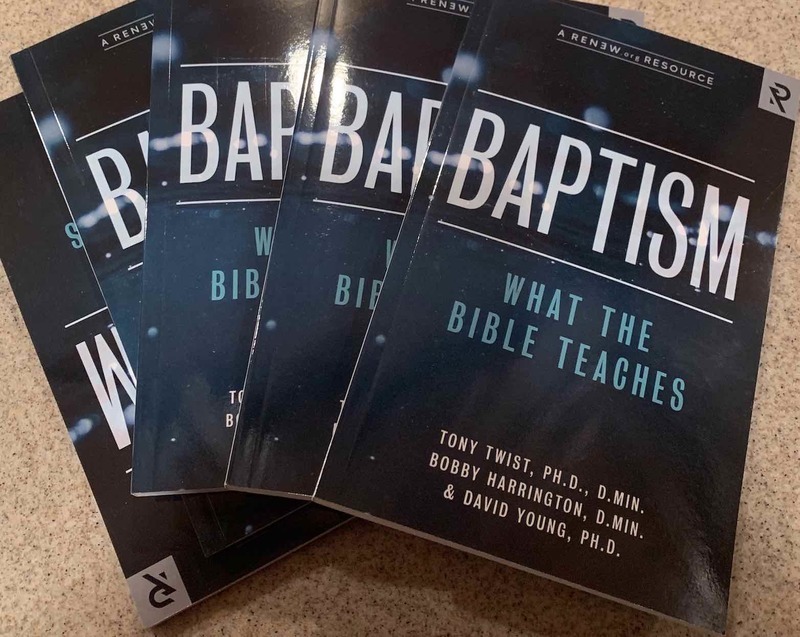 We have a FREE eBook everyone can download that answers all the key questions on this topic - Baptism: What the Bible Teaches. You can go to Renew.org and download it. People will naturally have lots of questions about this topic – is baptism essential for salvation or the normative response (allowing for exceptions), does it have to be by immersion only, etc.,. We hope our Renew family members will read it and feel the same way too.